More turnover at safety will be on tap for the Redskins, with Field Yates of ESPN.com reporting (via Twitter) the team is placing Donte Whitner on IR. Washington re-signed safety Josh Evans as a result of this move, reuniting after cutting the depth piece earlier this season. Whitner initially reached an agreement with the Redskins in October and played in 11 games for the team, starting nine, after a lengthy stay in free agency. It’s a quadriceps injury that will end Whitner’s season and send him back to the UFA market. 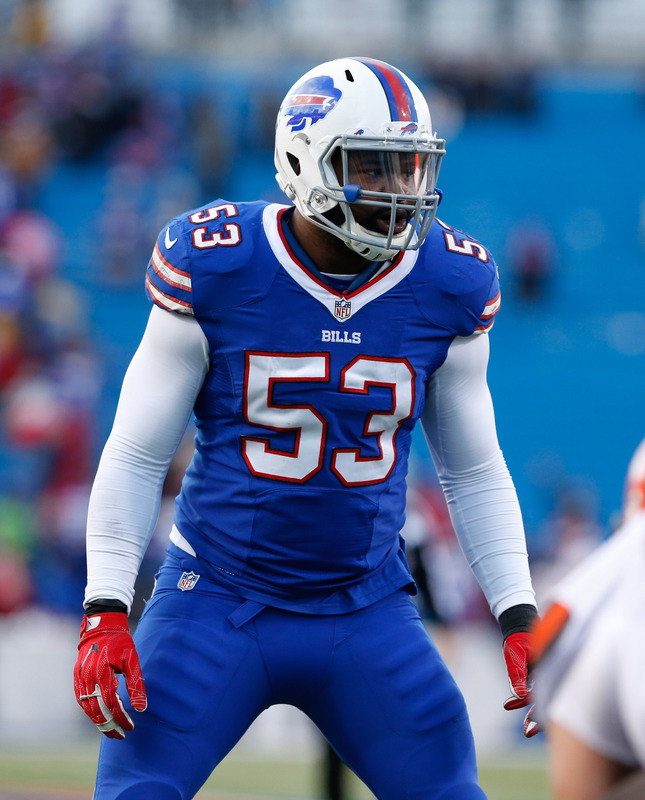 The former Bills, 49ers and Browns cog received extensive interest as a UFA but opted to wait for a more attractive offer. However, he ended up signing a one-year deal for just $985K. Despite signing in October, Whitner became a key member of the Redskins’ secondary, one that now has Will Blackmon and Duke Ihenacho as its surefire starters going into a must-win Week 17 game against the Giants. The 31-year-old back-line defender made 66 tackles and forced a fumble this season, his 11th in the league. 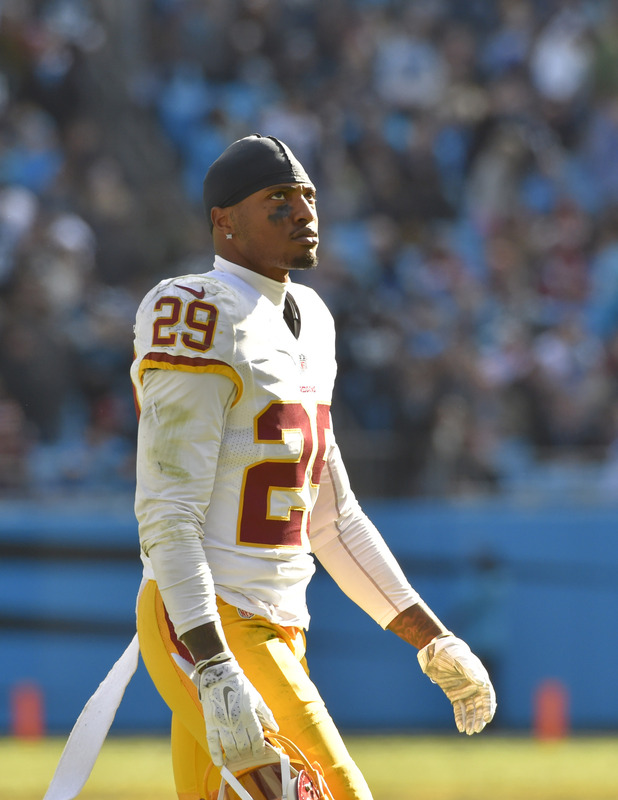 Washington has seen much turnover at safety in 2016, cutting David Bruton after signing him to a three-year deal, placing DeAngelo Hall on IR, and determining Kyshoen Jarrett‘s injury was too severe for their liking. This could trigger the team to also move Su’a Cravens to safety, where the USC standout could reside long-term. Although, the Redskins may wait until the offseason to make that move for developmental purposes. Initially a sixth-round Jaguars pick in 2013 who started for three seasons in north Florida, Evans caught on with the Redskins and played two games for the team earlier this season. 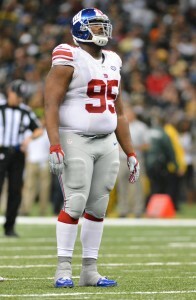 He will now be looked to as a backup option again. It took a little while, but Donte Whitner has found himself an NFL home for this season. The Redskins signed the safety after a workout on Tuesday, as Ian Rapoport of NFL.com tweets. Whitner’s deal will be a one-year accord, which makes sense given his age and the fact that this is a mid-season deal. The advanced metrics at Pro Football Focus had Whitner pegged as a top 30 safety in 2015, but teams apparently did not agree with that assessment. Whitner met with multiple teams but found a very mild market this offseason. Now, Whitner will presumably be playing with a chip on his shoulder to show the rest of the league what they missed out on. 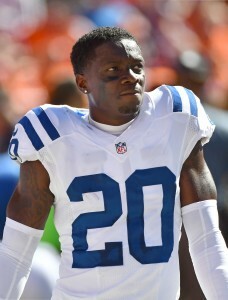 The Giants also auditioned Whitner this week given the rash of injuries they have had at the safety position, but he’ll be suiting up for a divisional rival instead. 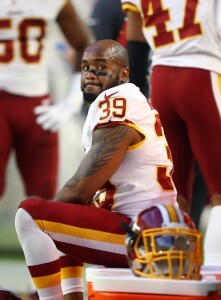 Donte Whitner worked out for rival Redskins this week, a source tells Ian Rapoport of NFL.com (on Twitter). However, they will not be signing him at this time, a source tells ESPN.com’s John Keim (on Twitter). Whitner also auditioned for the rival Giants recently, but they’re still in deliberations. 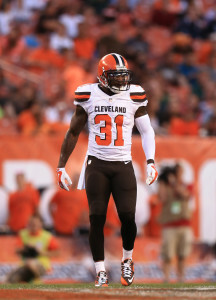 Whitner, 31. started 14 games for the Browns last year, defensing four passes, forcing one fumble, and posting 1.5 sacks. Whitner also graded out well via the advanced metrics at Pro Football Focus, which rated him as the league’s No. 24 safety among 89 qualifiers. Late in the offseason, we ranked Whitner as one of the very best defensive free agents to remain on the board. Even if he’s not as good as the advanced numbers would indicate, we’re surprised to see that he’s still without a job in October. The Giants will work out free agent safety on Donte Whitner on Sunday, according to Ian Rapoport of NFL.com (Twitter link). 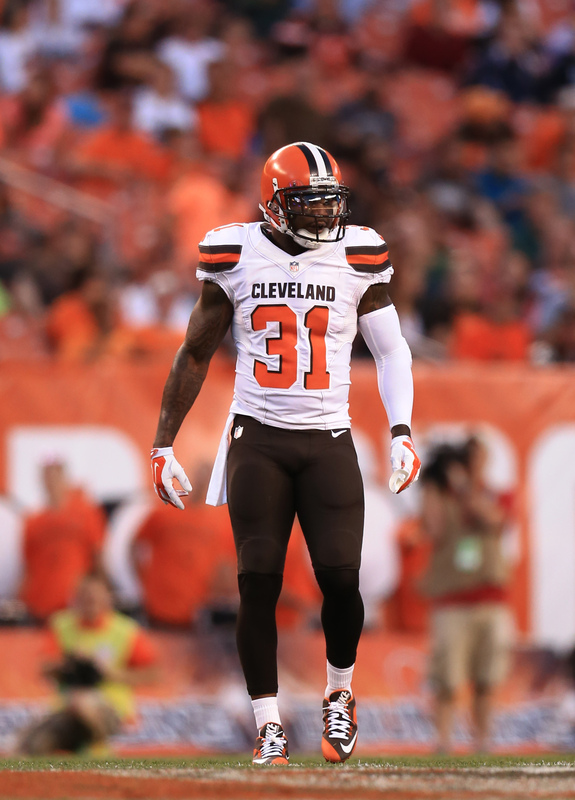 Whitner has been sitting on the open market since April after being released by the Browns. Whitner, who has drawn offseason interest from the Rams and Panthers, is still a productive player as he enters his age-31 season. In 2015, he started 14 games in Cleveland, defensing four passes, forcing one fumble, and posting 1.5 sacks. Whitner also graded out well via the advanced metrics at Pro Football Focus, which rated him as the league’s No. 24 safety among 89 qualifiers. Incumbent Giants safeties Nat Berhe (concussion) and Darian Thompson (concussion) are both unlikely to play on Monday night, and Leon Hall — who could shift to safety in a pinch — will be needed at corner given the injuries to Eli Apple and Dominique Rodgers-Cromartie. As Rapoport notes, New York is so banged up at safety that it’s been forced to use offensive players in the secondary during practice. 6:31pm: Whitner won’t serve as an immediate threat to either Boston or Coleman if the Panthers sign him, reports Jonathan Jones of the Charlotte Observer. Rather, he’d act as depth for a team currently dealing with injuries to reserve safeties Dean Marlowe, Marcus Ball and Trent Robinson. 5:22pm: Free agent safety Donte Whitner is headed to Carolina for a workout with the Panthers on Friday, according to Ian Rapoport of NFL.com (Twitter link). A three-time Pro Bowler, the 31-year-old Whitner immediately became one of the most accomplished free agents on the market when the Browns released him in early April. There hasn’t been much interest in Whitner since then, however, as his only prior visit came with the Rams a week after Cleveland released him. In trying to find a landing spot for Whitner last month, PFR’s Dallas Robinson listed the Panthers as one of eight potential fits for the former Ohio State Buckeye. As Robinson wrote, Tre Boston – the Panthers’ prospective starter at free safety – doesn’t have Whitner’s track record. Boston has totaled just six starts since the Panthers chose him in the fourth round of the 2014 draft, and he only partook in 20 percent of their defensive snaps last season. Having lost veteran defensive backs Josh Norman, Roman Harper and Cortland Finnegan in recent months, it’s possible reigning NFC champion Carolina isn’t comfortable turning to the relatively inexperienced Boston as a starting option. If the Panthers end up going with the more established choice, Whitner, he and fellow ex-Buckeye Kurt Coleman would form an enticing safety duo on paper. Whitner, a 10-year veteran, has started in all 93 of his appearances since 2010. The last time Whitner started in fewer than 14 games in a season was in 2009, when he missed six contests. In 14 appearances last year, Whitner amassed 81 tackles, 1.5 sacks and a forced fumble. Despite failing to pick off a pass for the first time since 2008, Pro Football Focus ranked Whitner as the league’s 24th-best safety among 89 qualifiers. Since entering the league as Buffalo’s first-round pick in 2006, Whitner has racked up 143 starts in 146 appearances, 11 interceptions and 10 forced fumbles in his time with the Bills, 49ers and Browns. Veteran safety Donte Whitner wasn’t happy with the timing of his release from the Browns earlier this year, and he had every right to be upset. After Rodney McLeod, George Iloka, Eric Weddle, Tashaun Gipson, and a cadre of other safeties had already scored large contracts on the open market, Whitner hit free agency about three weeks after many clubs had already spent their free agent money. As such, Whitner will likely have to settle for a one-year deal in the coming weeks. But Whitner, who will turn 31 years old later this month, is still a talented player, having graded as the league’s No. 24 safety among 89 qualifiers in 2015, per Pro Football Focus. He’s also remarkably durable, as he’s missed only three games over the past six seasons. As such, PFR recently ranked Whitner as the No. 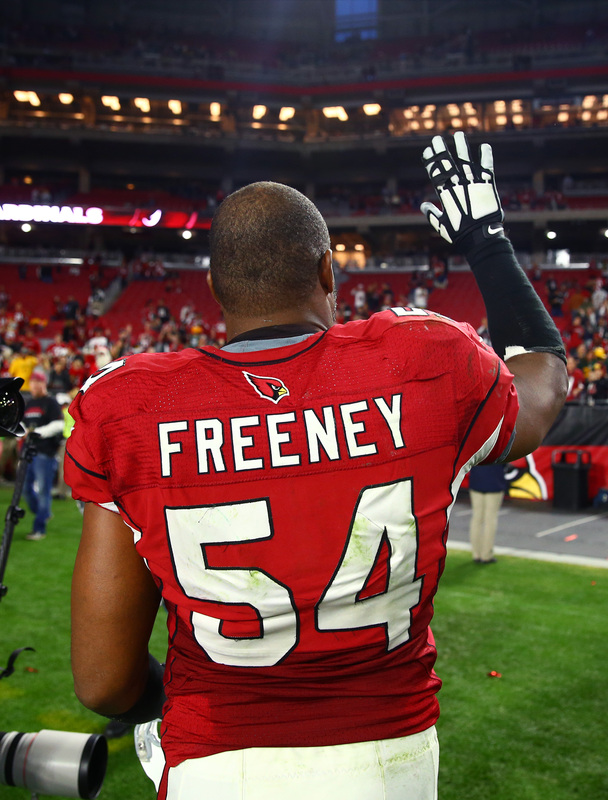 1 free agent available on the defensive side of the ball, ahead of other players such as Leon Hall, Greg Hardy, and Dwight Freeney. Carolina Panthers — Former fourth-round pick Tre Boston spent the first two years of his career as a special teams stalwart, biding his time behind Roman Harper while waiting for a starting opportunity. That time has come, but will Ron Rivera and the rest of Carolina’s coaching staff feel comfortable relying on Boston, who has just six starts to his name and has only averaged about 28% playing time over the past two seasons? After rescinding Josh Norman‘s franchise tag, the Panthers will have enough questions at cornerback without having to worry about their safety group, too. Adding Whitner to play opposite Kurt Coleman could help alleviate any concerns the club might have. Dallas Cowboys — The Cowboys defense has taken its share of hits this offseason, with Rolando McClain, DeMarcus Lawrence, and Randy Gregory all facing multi-game suspensions. 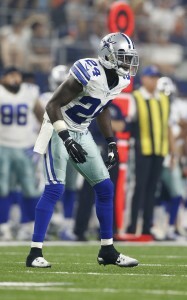 Dallas’ secondary has remained untouched, but second-year safety Byron Jones is the only above-average option projected to start in the club’s defensive backfield. Strong safety Barry Church has never been special, and the Cowboys didn’t select a safety in the draft until the sixth round (Central Michigan’s Kavon Frazier). If Tony Romo can stay healthy during the upcoming season, Dallas should return to contention in the NFC East, and Whitner could be the final piece of the puzzle on defense. Detroit Lions — Lions general manager Bob Quinn has been adamant that his club will field a wide-open competition at strong safety, but the latest reports indicate the former Saint Rafael Bush holds the upper hand over fellow free agent signee Tavon Wilson and fourth-round rookie Miles Killebrew. Bush, though, hasn’t been able to stay healthy during his five-year NFL career. The 29-year-old ended the 2014 season on injured reserve with a broken leg, and missed all but one game last year after tearing a pectoral muscle. Wilson, meanwhile, never started a single contest for the Patriots despite being a former second-round pick, and played just 83 defensive snaps in 2015. All in all, it’s an unproven and untrustworthy group, and Whitner could represent a more sure thing. Houston Texans — The Texans boasted one of the NFL’s best defensive units in 2015, so they don’t need to add a free agent like Whitner. Houston already had a poor encounter with a veteran free agent safety last season, as Rahim Moore was benched in early November before being released just one season into a three-year deal. But that experience shouldn’t scare the Texans off, as Whitner could add a hard-hitting force to a safety crop that possesses quantity, but perhaps not quality. Andre Hal looks like the club’s starter at free safety, but strong safety could be a toss-up between Eddie Pleasant, Quintin Demps, Antonio Allen, and rookie Kris Dillon. Whitner, for all his faults, looks to be an improvement over any of those options. Jacksonville Jaguars — The Jaguars are going all-in on the 2016 season, and they spent the majority of their offseason upgrading their defense. After handing big-money deals to defensive lineman Malik Jackson and safety Tashaun Gipson, general manager Dave Caldwell spent all but one of his draft picks on defenders, using his first two to pluck cornerback Jalen Ramsey and linebacker Myles Jack. But after allocating all that capital, strong safety is still a weak spot on the Jags’ roster, as former second-round pick Johnathan Cyprien graded out as a bottom-three safety last year, according to PFF. As such, Cyprien is reportedly in danger of losing his job to James Sample, but perhaps Jacksonville would prefer a more stable veteran. And not for nothing, Whitner has working experience with Gipson, as the pair spent the past two seasons together in Cleveland. Kansas City Chiefs — Even after losing one safety to free agency (Tyvon Branch) and another to retirement (Husain Abdullah), the Chiefs are still pretty well-stocked at the position. All Pro Eric Berry, the club’s franchise tag designee, will hold down one spot, while Ron Parker will man the other. But with Parker taking on so many other roles in Kansas City’s defense, including nickel corner, Whitner could make for a strong depth addition. It wouldn’t be a perfect match, however, as Berry does his best work close to the line of scrimmage — the same area that Whitner regularly patrols. The Chiefs are going to mess with Berry’s role to accommodate someone like Whitner, so the latter might have to be open to a reserve role. Los Angeles Rams — The Rams are perhaps the most obvious fit on this list, especially given that they’re the only club with which Whitner has had a known visit. Whitner met with Los Angeles in the beginning of April, and though reports have indicated that he remains “in play” for general manager Les Snead & Co., the Rams might be cooling in their pursuit of veteran safeties. LA’s search for secondary help — which, in addition to Whitner, has involved fellow free agent Dashon Goldson — could be limited by the team’s desire to see how its younger options, such as Maurice Alexander, Cody Davis, and Christian Bryant, play out before adding a more experienced player. The Rams’ only safety with more than five career starts under his belt is T.J. McDonald, who could possibly be facing a suspension after being arrested for DUI earlier this year. San Diego Chargers — San Diego has already replaced franchise legend Eric Weddle, agreeing to a deal with former Colt Dwight Lowery over the offseason. But strong safety remains a weakness — in his first season as a full-time starter, Jahleel Addae was below-average, ranking as the No. 76 safety in the league, per PFF. The Chargers ranked 25th in defensive DVOA last season, and were even worse specifically against the run, where they placed 31st. Whitner would help in that regard, assisting the front seven in rush defense while Lowery covers the back end. San Diego did assign Addae the second-round restricted free agent tender, so the club clearly values him, but none of his $2.553MM salary is guaranteed, so if the Chargers wanted to go in another direction, they could easily get out of that contract. Others — Given that former 49ers defensive coordinator Vic Fangio is now with the Bears, I initially pegged Chicago as a good fit for Whitner, given that the pair enjoyed success together in the Bay Area from 2011-13. However, the Bears selected two safeties in this year’s draft, and as Brad Biggs of the Chicago Tribune has written on multiple occasions, Chicago would like to see how those younger options play out, and is quite pleased with 2015 rookie Adrian Amos at strong safety. The Ravens also struck me as a potential landing spot for Whitner, given that general manager Ozzie Newsome has a history of squeezing every last drop out of veteran free agents. But Baltimore already spent money on Eric Weddle this offseason, and even after offloading the troubled Will Hill, the club still boasts cornerback convert Lardarius Webb, former first-round pick Matt Elam, and Kendrick Lewis at safety, so it’s not exactly a position of need. 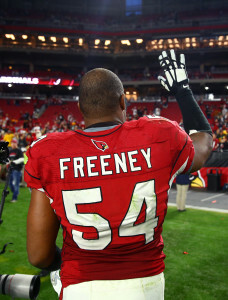 Jamison Hensley of ESPN.com noted that the Ravens have long been fans of Whitner, but allowed that a signing was unlikely. Finally, the Vikings are known to be looking for the perfect complement to Pro Bowler Harrison Smith, and even after inking Andrew Sendejo to a four-year deal and signing free agent Michael Griffin, the club still doesn’t sound confident with its options at strong safety. Whitner, then, would seem to be a potential fit, but as Ben Goessling of ESPN.com wrote last month, Minnesota is probably looking for a player who can handle pass coverage responsibilities given how often the team moves Smith around the formation. Whitner is not that guy, so perhaps the Vikes aren’t quite a perfect landing spot. Bears edge rusher Willie Young acknowledged Wednesday that there have been contract extension talks between him and the team, saying (via Jeff Dickerson of ESPN.com), “Yeah, there has been some stuff mentioned here and there, but that’s something that will be left up to my agent so I don’t get caught in the middle of it.” As of earlier this month, Young was reportedly “50/50” on whether to accept a two-year offer from the Bears. Chicago is trying to keep the soon-to-be 31-year-old after he amassed a combined 16.5 sacks during his first two seasons in the Windy City, and he’s open to spending the rest of his career there. “I would like to finish my career up here in Chicago, but you know that’s not up to me; that’s up to my agent and management,” said Young, who will hit the open market next offseason if a deal isn’t reached by then. Free agent safeties Dashon Goldson and Donte Whitner remain “in play” for the Rams, tweets Vincent Bonsignore of the Los Angeles Daily News. If the Rams sign either, it won’t occur until after OTAs because the team wants to evaluate its in-house options, Bonsignore adds (Twitter link). 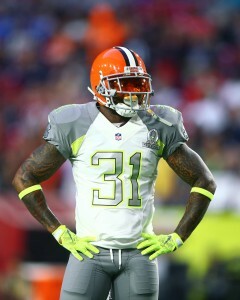 Los Angeles hosted Whitner, a three-time Pro Bowler, in early April. Goldson, who has two Pro Bowl selections under his belt, met with the club earlier this month. PFR’s Dallas Robinson ranks Whitner as the best defensive free agent on the market. Fellow free agent safety Roman Harper could rejoin the Saints, per FOX Sports’ Alex Marvez (via Twitter). Harper, whom the Saints took in the second round of the 2006 draft, spent his first eight seasons in New Orleans before signing with the division-rival Panthers in 2014. The 33-year-old proved to have a fair amount left in the tank last season for the NFC champions, starting all 19 of their games (playoffs included) while grading 53rd out of 89 qualifying safeties at Pro Football Focus.